When serendipity strikes and you happend to be in the right place at the right time in Rocky Mountain National Park you end up seeing some pretty amazing sights. This morning in Moraine Park fog rolled up the valley and into Moraine Park just as the sun was rising along the south lateral moraine. 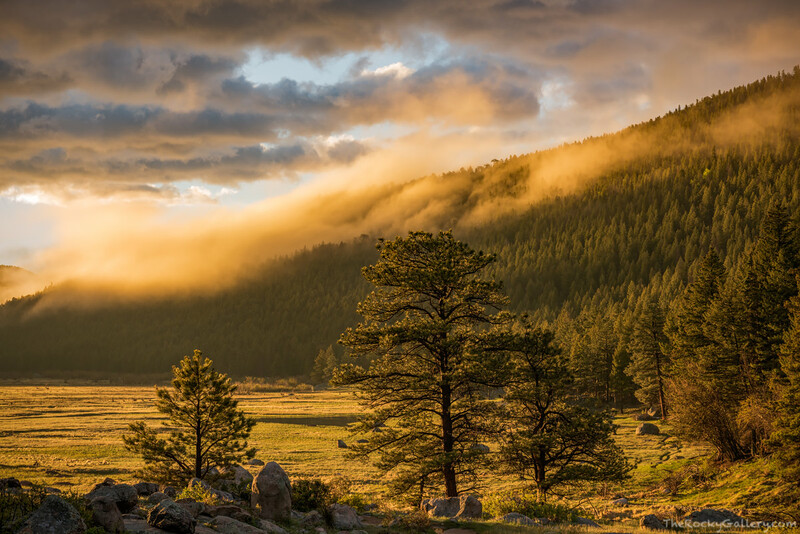 The ponderosa pine trees and green spring grasses glisten on a beautiful May morning. Photo © copyright by Thomas Mangan.